Flexible Cast size to suit YOUR group numbers, from 26 actors upwards. See "Casting" tab below. Both these CDs include Overture, ALL Songs, Special Effects, Play Ons and Play Offs in the order you need them enabling production and direction to take place without specialist musical expertise. However for those of you who prefer a live pianoforte accompaniment, we now have available a superb BRAND NEW Performance Score which encompasses Overture, ALL Play Ons and Play Offs, Songs, Link Music, Cues and Chord Symbols. (Grade 5 / 6 standard). We also have available a BRAND NEW Rehearsal Score (Grade 2 / 3 standard). "Ye-Ha!" squeezes all the fun and adventure of the old west into a wonderfully wild musical comedy. Something stinks in Splodge City - and it ain't the drains! Mad Dog McNut and his gang are running wild and Wilbur Hubbard, cowardly cook at the Fordoor Saloon lands the job no-one wants - Sheriff of Splodge. Luckily for Wilbur, Billie-Jo Brisket and her faithful steed Lightning roll into town to lend a hand, and suddenly the race is on to save the town. It's a rootin- tootin tale of crazy cowboys, barmy baddies, masked heroes and hidden gold! "Ye-Ha!" 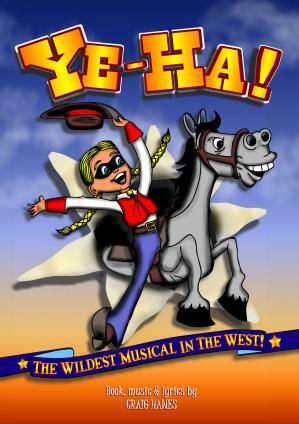 mixes comical characters, a side-splitting script and sparkling songs in a musical that will make your cast shine and your audience go wild in a western way! With parts for between 30 and 50 children plus unlimited chorus parts, this show will suit any size school or group. 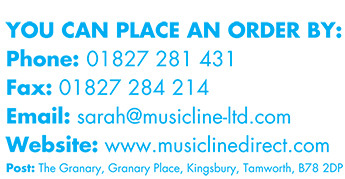 A CD featuring dazzling, fully orchestrated backing tracks is available. A CD of vocal tracks is also available which can be used for rehearsals and performances.